Ready To Re-Invent Your Look? Learn how to create a closet full of instant outfits you love and gain confidence that shows without spending a ton and stressing out! We’ll make adjustments to what you have, keeping in mind your new style recommendations and lifestyle. This means purging the old and tired to make room for the new. I’ll pair outfits together from what you already have and build a shopping list of what you still need. We’ll shop at the store(s) of your choice unless you’d like me to choose. 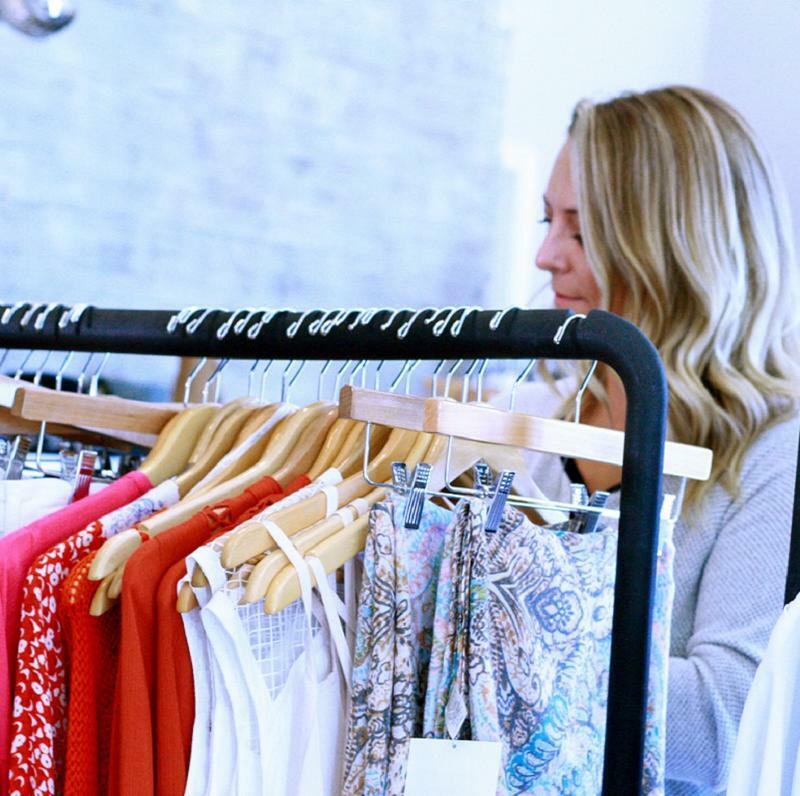 I share how to navigate the store best, how to search the racks, try on everything and only pair and buy what works for your body and serves your purpose. Your purchases are in addition to your service. There is no obligation to buy when we shop. 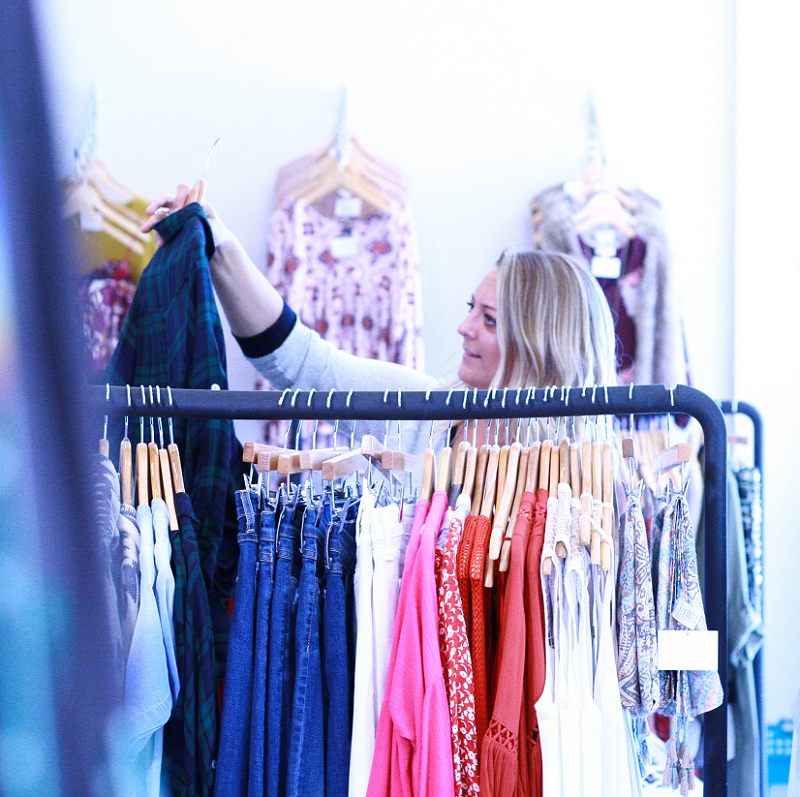 Save time and money by shopping your closet first with my self-guided online ecourse. You'll learn everything I teach my face to face clients. Its a digital mix-n-match wardrobe for every day, season and occasion with a wardrobe shopping list and videos that walk your through the whole thing! A great choice for anyone ready to rebuild their wardrobe and re-style their life with glowing confidence! Get 8 Video Lessons, a Wardrobe Shopping List good for every size, season and occasion. 90+ casual, work, event, travel and weekend Instant Outfit Samples. Bonus content and online group coaching. This course has everything you need to have a wardrobe full of instant outfits that you’ll actually wear. I offer one-one-one style coaching in the Kansas City area. 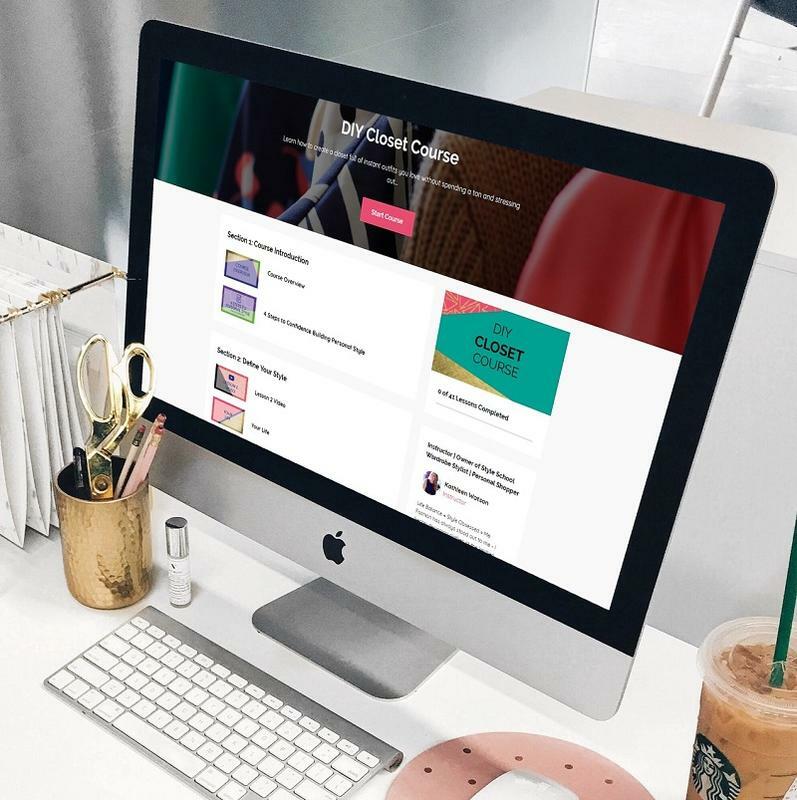 You'll fill out an online Personal Style Profile that I’ll use when curating your new balanced-just-for-your life personal style! In my appointments we’ll work closely together, covering your personality and goals to help find your unique style. 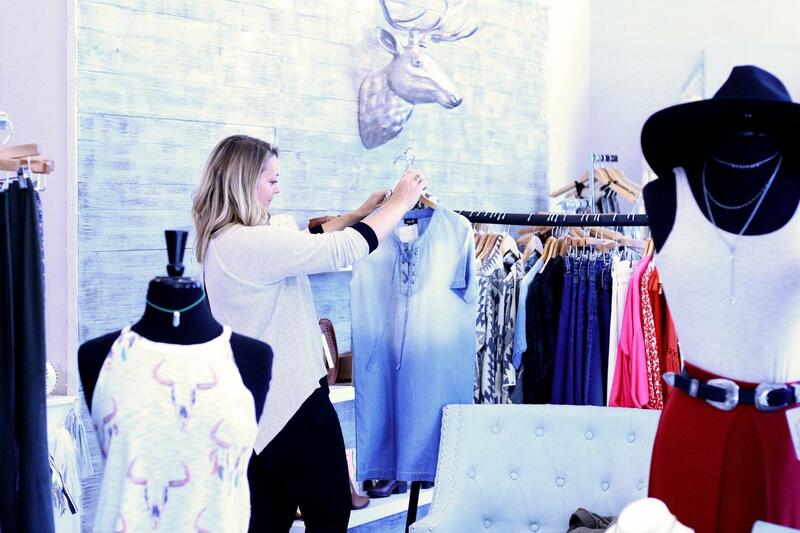 I cover hair, makeup, wellness and wardrobe and you’ll receive recommendations for each. Learn more about my services and see what's the best fit for you. I can help you in so many ways! Don't Wait, You Deserve This! Have your been thinking about making a change and just haven't taken the plunge? That's why I'm here! I take the stress and overwhelm out of finding a personal style that fits your personality and your life! 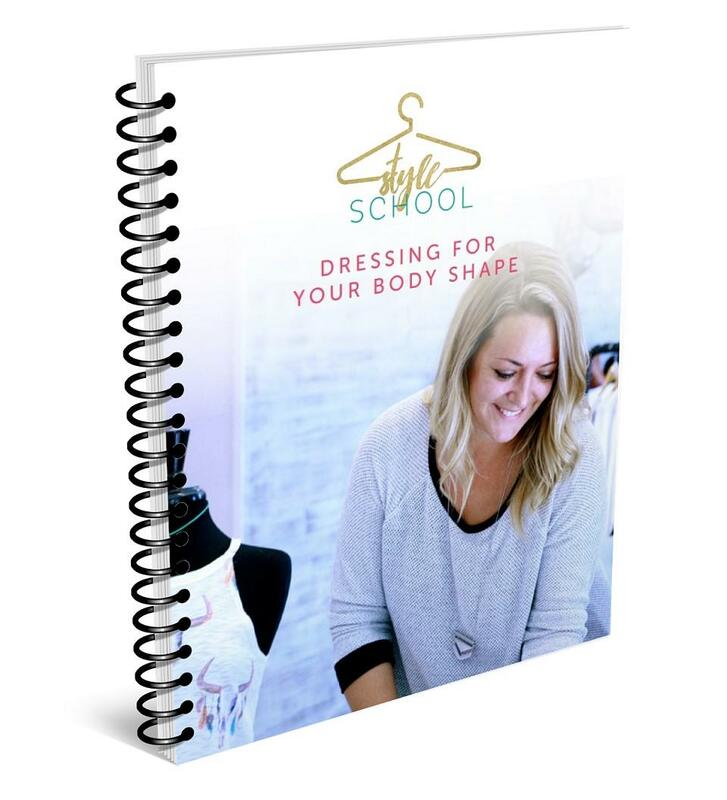 Get My Dressing For Your Body Shape Style Guide when you subscribe! 11 pages packed with tips+tricks & hacks that make shopping and dressing your unique body stress-free! 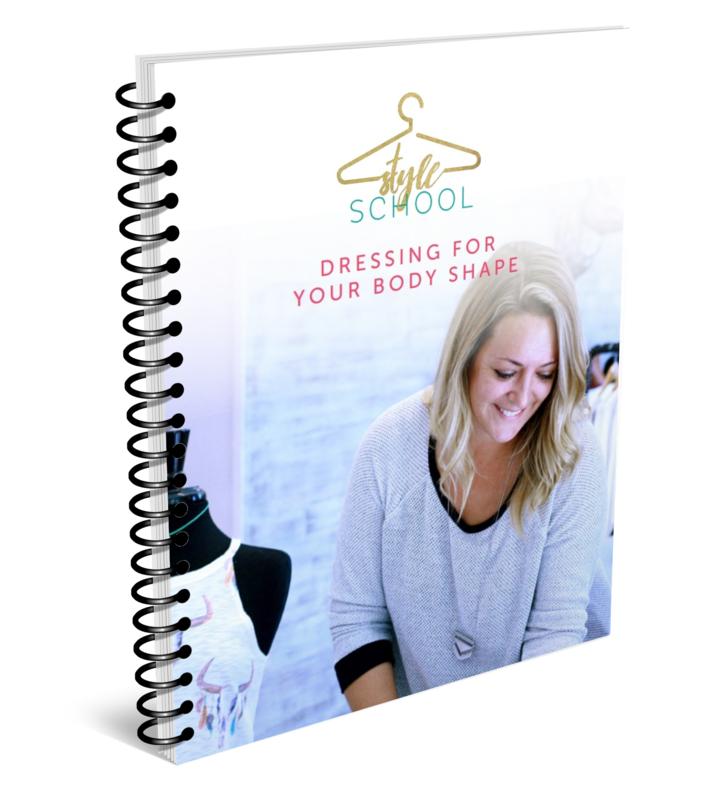 Learn EXACTLY what I teach my face-to-face clients about Dressing Their Body Shape! Do’s and Don’t for your Body Shape, What Styles to Avoid, What Styles to Buy, AND photos of people killin’ it just like you can!